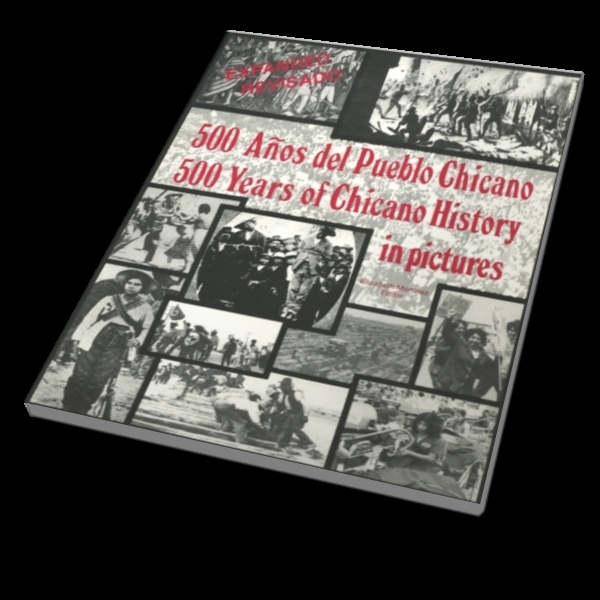 500 Years of Chicano History in Pictures/500 Años del Pueblo Chicano is a publication of the SouthWest Organizing Project, a New Mexican community organization whose mission is to empower our communities in the Southwest to realize racial and gender equality and social and economic justice. 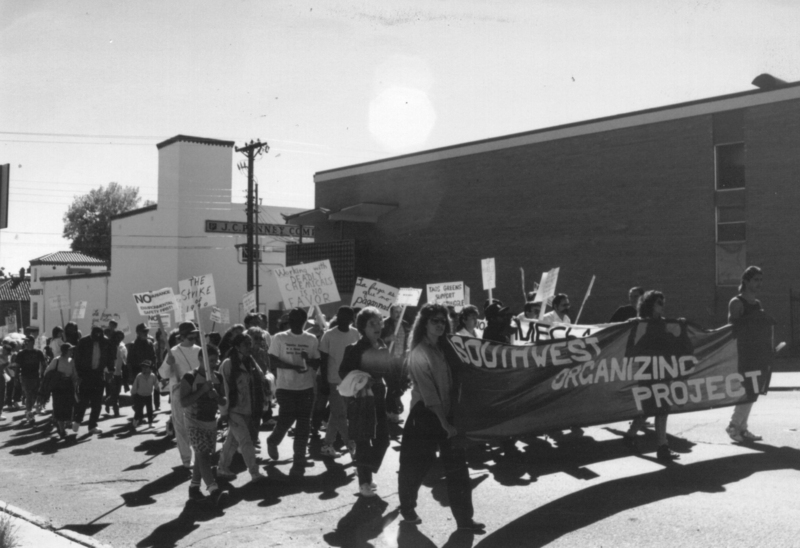 The SouthWest Organizing Project was founded in 1980 by young activists of color to empower our communities in the SouthWest to realize racial and gender equality and social and economic justice. We seek to redefine power relationships by bringing together the collective action, talents, and resources of the people within our communities. We work primarily in low-income communities of color to gain community control of our land and resources. At the core of our work is the belief that all families have the right to healthy, sustainable environments in which to live, work, and play. The only way we can confront the challenges facing us is to organize ourselves, develop shared vision, exchange knowledge, and take unified action. Organizing is different from advocacy, mobilizing, development or service work, but involves all of them. We build relationships and consolidate perspectives, thoughts and ideas. We don’t do things for people, we do things with people. Our work takes various forms: direct grassroots organizing campaigns to make social or political change, education and skill building to develop leadership within our communities, and mass-based civic engagement strategies to build and demonstrate the collective power we have through voting. We are a multi-racial, membership organization with a Board of Directors that is elected directly from our membership. We’re intentional about ensuring that the composition of our staff, membership, and Board represent the communities with which we work. SWOP acts as a vehicle for those directly affected by the decisions of governments to have a greater voice in the process. Elected officials listen to communities that are registered to vote and informed about the issues. SWOP non-partisan voter registration, education, and get-out-the-vote campaigns have registered tens of thousands of New Mexicans over our 30 year history, and have increased voter turnout in targeted areas. Lasting change comes from, and is based on, empowering and educating our communities. SWOP strives to engender community leadership to ensure that positive and progressive change may occur. You can contribute to our work by being a SWOP Member. Your participation empowers our organization by helping us to grow. You can be an important part of an organization working to Take Back New Mexico!